Explanation: What causes the bright streaks on Dione? Recent and likely future images of this unusual moon by the robot Cassini spacecraft now orbiting Saturn might help us find out. The above image was taken at the end of October from a distance of about one million kilometers. The bright streaks run across some of Dione's many craters, indicating that the process that created them occurred later than the impacts that created those craters. Dione is made of mostly water ice but its relatively high density indicates that it contains much rock inside. 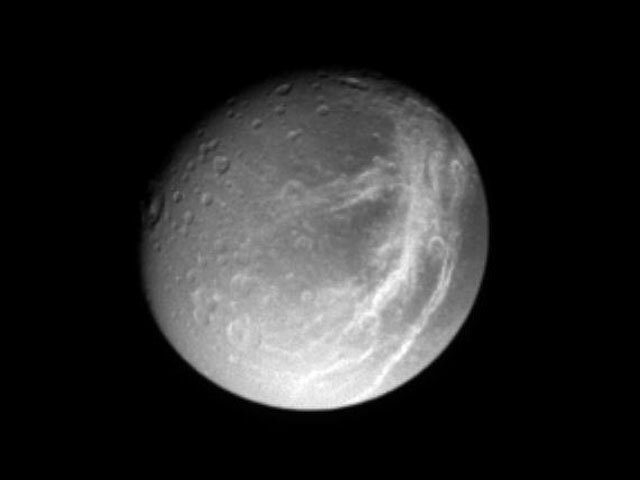 Giovanni Cassini discovered Dione in 1684. The Cassini spacecraft is scheduled to photograph Dione at higher resolution in mid-December. 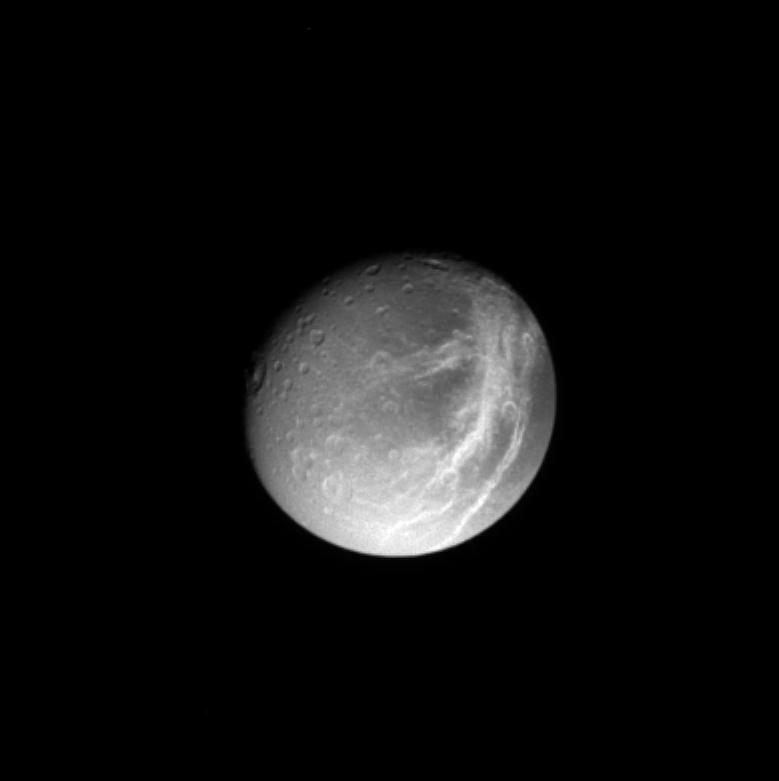 Currently, the highest resolution images of Dione remain those taken by the passing Voyager spacecraft in 1980.